“Christmas is a magical time of year! This collection of 101 festive holiday stories will warm your heart and spread holiday cheer with its tales of family, fun, and traditions from across Canada. A fantastic holiday gift and a great way to start the season! I’m sure everyone reading this has read at least one “Chicken Soup” book in their life. It’s not a difficult feat to achieve as they seem to have books on every topic imaginable, no matter how obscure. I stumbled upon this one at my public library and decided to give it a try for this challenge. The stories were filled with those feel-good feelings we all seem to get around the holidays. 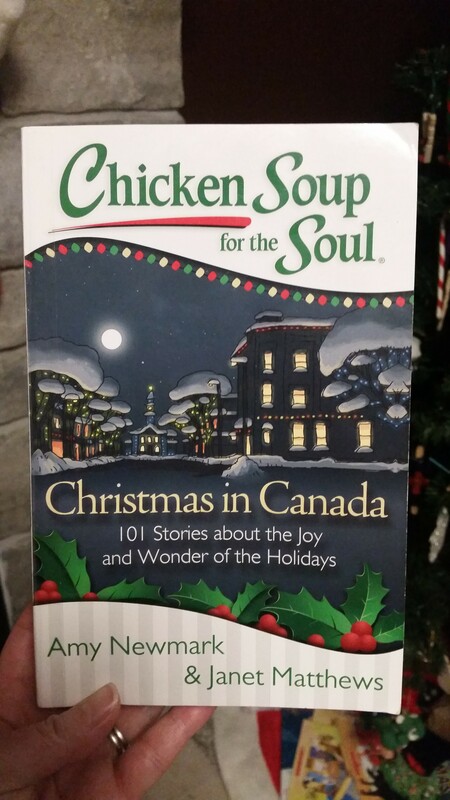 I’m not really a fan of the Chicken Soup books, but have read a few in my day. I remember my Grandma once innocently referred to them as “chicken noodle soup for the soul” books…gotta get those noodles in there, too! *My progress for the Canadian Book Challenge is 16/13! !